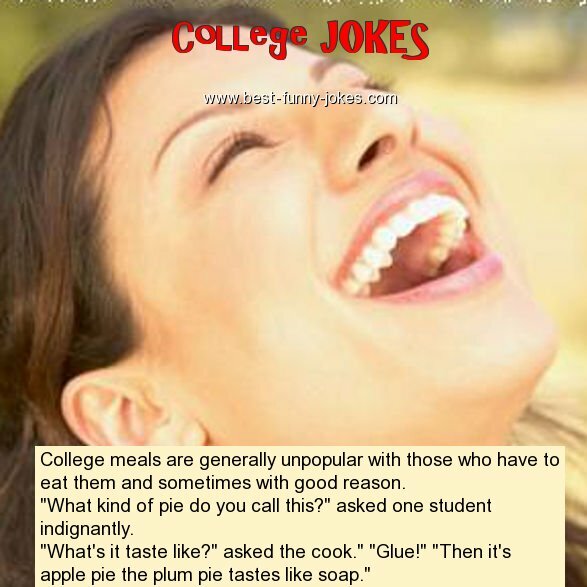 College meals are generally unpopular with those who have to eat them and sometimes with good reason. "What kind of pie do you call this?" asked one student indignantly. "What's it taste like?" asked the cook." "Glue!" "Then it's apple pie the plum pie tastes like soap."